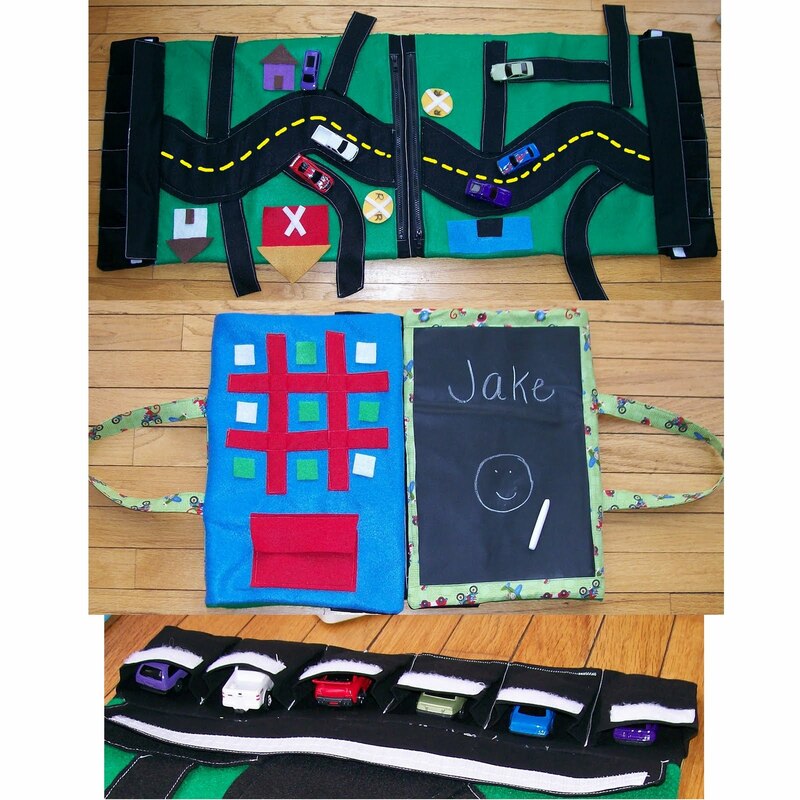 This PDF Pattern is for making a car mat/activity tote bag. 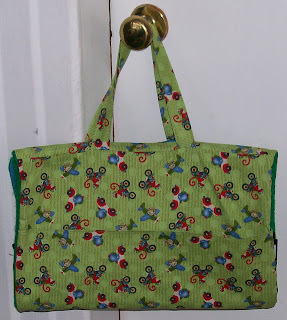 This bag is WONDERFUL for trips to Grandma's, for church (it'll fit on most pews), or even the car! When fully opened (using the car mat) it measures 15"x40". 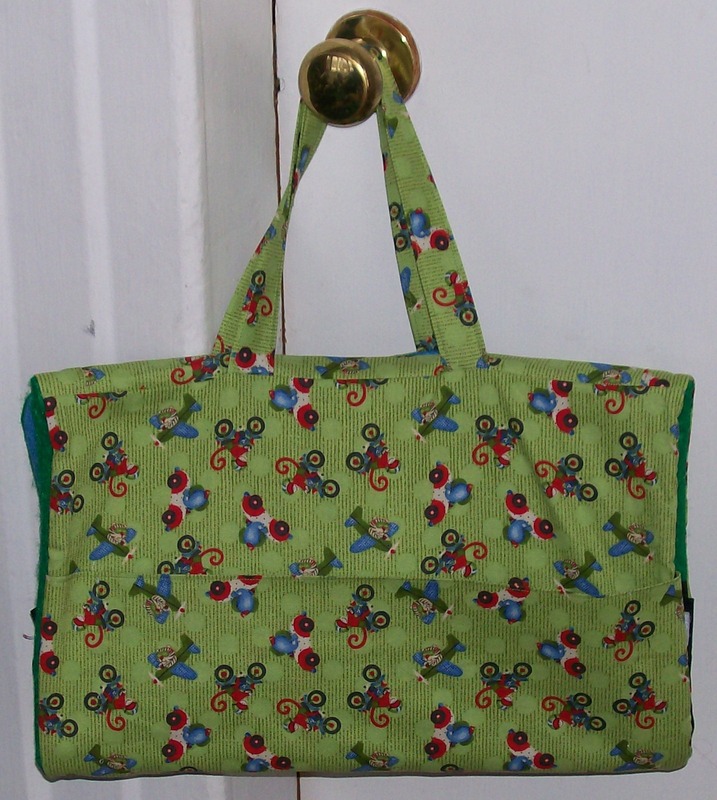 When closed, the bag has 2 outer pockets that are great for storing coloring books, etc. Open the bag up once and it has a tic-tac-toe board and a chalkboard; open up once again and it has a car mat with Velcro pockets to hold 12 cars and 2 zipper pockets to hold the extra road and building pieces. Very descriptive pattern with lots of pictures. This pattern, as well as the pattern concept/idea are COPYRIGHTED. Please do not "steal".